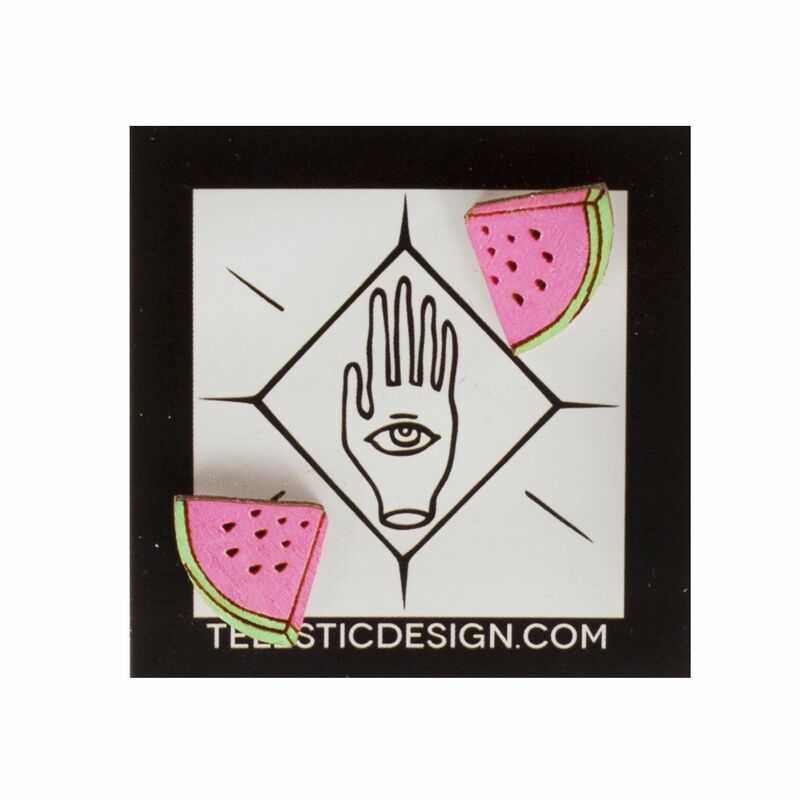 These hand painted watermelon studs are perfect for spring, or anytime! They are made by Telestic Design in Kansas and are made from birch wood and are nickel-free. Earrings are approximately 1/2" x 1/2".